Another one of Sacred Heart Exclusives – we built a full-fledged planetarium with a capacity of 50 children within our campus – so that our students can experience the sky – in their school. 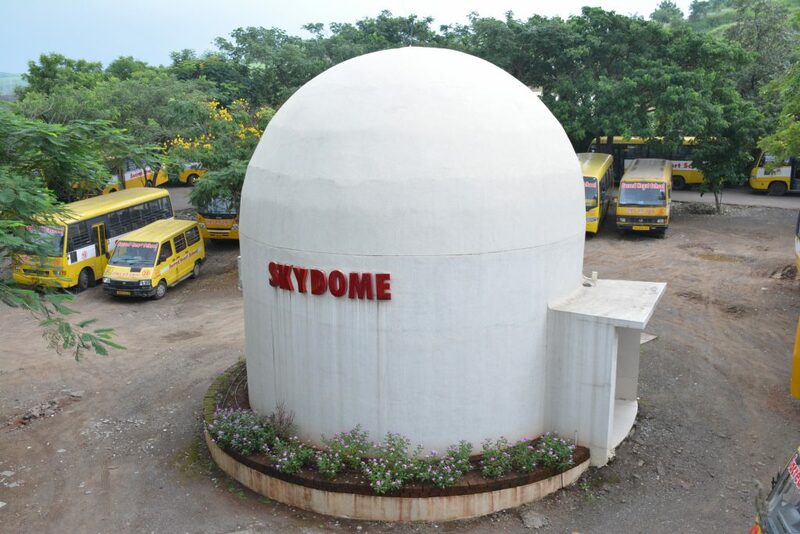 The SKYDOME Planetarium is located in the Eastern corridor of the campus, next to the E-Library. The planetarium has a shape of a sphere, 20 meters in diameter, Sacred Heartians use the dome for extreme-wide-projections and other enhanced multi-media shows. It has a seating capacity of 50 students. The digital theatre of Planetarium facilitates the observation of planets, moon, stars, nebula, displayed on full dome through World Wide Telescope Application and Stellarium Dome Technology and thus students enjoy a panoramic view of the virtual sky in real time. This is facilitated by a weekly period in the curriculum. Students get to experience the virtual sky and study Constellations, Planets, Nebulas. The planetarium houses a 3-Dimensional HD resolution projector on which a Hemistar FishEye Lens projects the World Wide Telescope, Stellarium application on a 180 degree dome which gives the students an enthralling experience of the Universe. 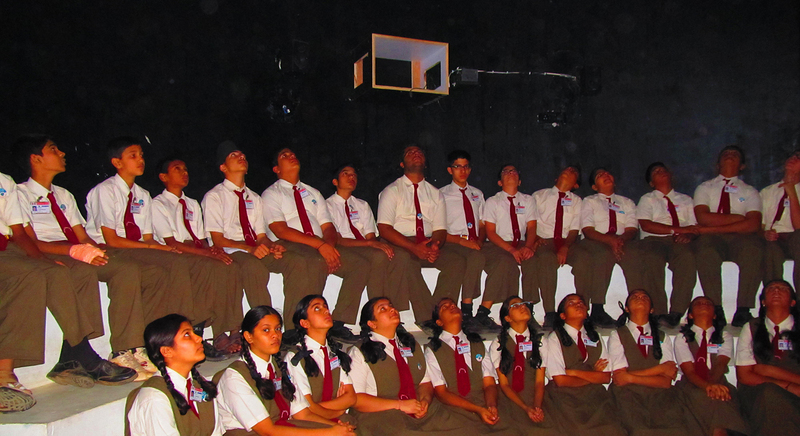 The students have an immersive experience at the planetarium during Astronomy periods. 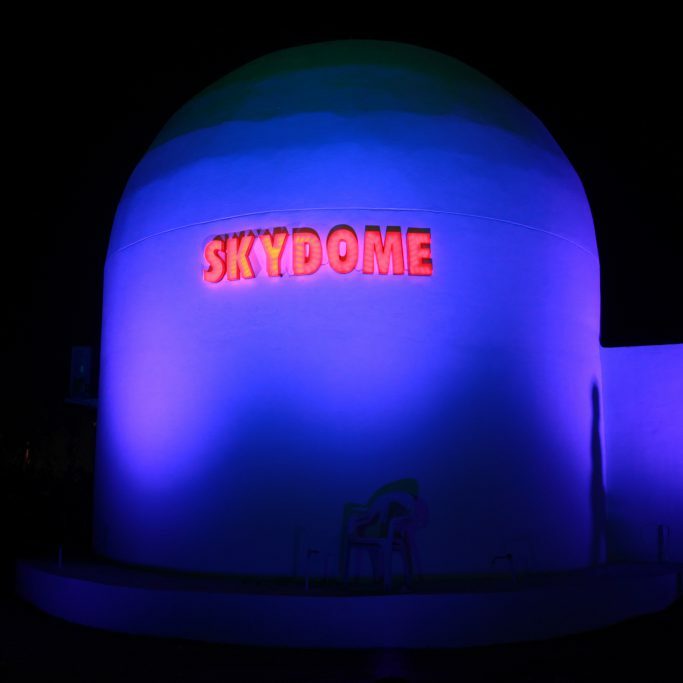 The SKYDOME commissioned in January 2011, with a vision to foster scientific temper through the means of edutainment. The planetarium has been making learning Astronomy a pleasant experience through its platform Centre for Astronomy and Space Studies. This centre facilitates activities in Aeromodelling such as RC Plane building Drone Fabrication, Quadcopter Assembly, Python Language, Lego Robotics, CNC machine building, Radio Sounding by Helium Balloon. It has grown into a Center for Innovative study of Astronomy and studies related to space. It also arranges camps and events periodically on various stellar and Astronomical events. The Hub also organizes programmes aimed to inspire students. Programmes like Herping, Fire – Fly Festival, Geminid Meteor Shower, Lyrids Meteor Shower. Special arrangements are made to study and photograph Astronomical events.